BIHE students gather in a home for class in Tehran. Members of the Baha’i religion are banned from higher education in Iran. For thirty years they have been studying underground. How can you study if studying is illegal? Soheil still does not know who signed his bachelor’s degree. All he knows is how he received it. In order to obtain his certificate, Soheil had to write an SMS to an encrypted e-mail address. Two weeks later he got a phone call from an unknown number. “Are you home?”, a voice asked. Moments later the doorbell of his Tehran apartment rang, an unknown person pressed an envelope into his hand, sat down on his moped and drove away. The envelope contained Soheil’s certificate. Signed by the president of his university. A man whose identity is secret. Soheil is a graduate of an illegal university. It has no cafeteria, no campus, no offices, not even an address. You cannot visit this university; you can only find it through contacts. Their students and lecturers must hide. That is why this article does not mention their real names. Soheil studied architecture at the Baha’i Institute for Higher Education (BIHE) – the online University of the Baha’is, a persecuted religious minority in Iran. In the early 1980s they were denied access to higher education, forbidden to teach or study academically. Some professors who had become unemployed therefore founded the BIHE. Since then, the degrees Baha’is earn in secret cellars and living rooms have been recognized by 90 universities around the world, including Harvard, Yale and Berkeley, as well as seven universities in Germany. On a spring evening Soheil is sitting on a colorfully embroidered sofa in his old seminar room. Actually, the room is a living room: a young couple lives here. In the kitchen, vegetarian lentil stew simmers, discarded headscarves dangling in the wardrobe. Soheil and eleven woman and men discuss “Truth and Reality”, the topic of today’s English lesson. A lecturer moderates. Soheil has long been working in an architectural office, but once a week he still comes here. A 27-year-old student gets up, collects all mobile phones, switches them off, pries out the batteries and places everything under a pillow in the neighboring room. It is Shirin, Soheil’s friend, who is also studying architecture. “We know we’re being watched,” she says. But now they can talk freely about their lives, the situation of Iranian Baha’is and their secret university. Shirin and Soheil look like many educated Iranians in their late twenties: they wear tight jeans and wool sweaters. Everyone in the group knows someone who has been in prison before – for example Soheil’s cousin. Currently about 86 Baha’is are still in prison for their faith, including four BIHE lecturers. 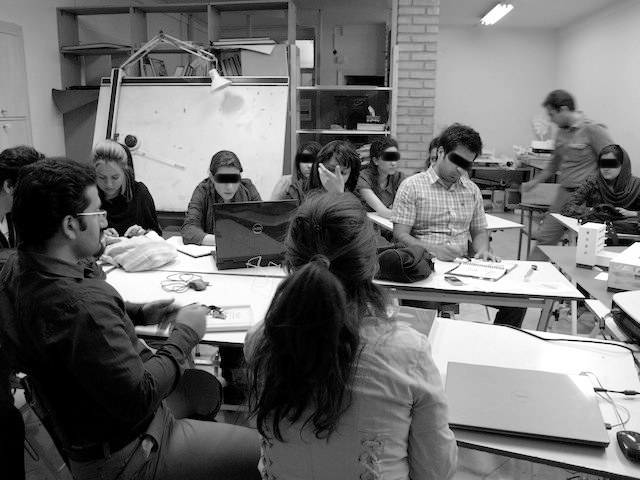 Like the English course, all events at the secret university take place in private apartments – mostly in the evenings and on weekends, so that people from other cities can travel to Tehran. The locations are sent to each other in encrypted chats of the Messenger service Telegram. Again and again they have rented an entire office building, but every time security forces stormed the rooms, arresting many. In the telling of the Iranian state, Baha’is are apostates: in the 19th century the religion split off as an independent faith from Shiite Islam. Since then they have been persecuted. The Shahs already considered them to be enemies of the state. In the years following the Islamic Revolution in 1979, over 200 were executed or died in prison. BIHE students gather for a class in Tehran. To this day, the Iranian constitution does not protect them as a religious minority, unlike Jews, Christians and Zoroastrians. Regime propaganda defames them as a political sect that desires to overthrow the Islamic Republic. The exclusion from universities is intended to isolate Baha’is socially and keep them away from important social positions. But the Baha’is simply transferred their education underground. At the end of the 1980s, humanities scholars collected thousands of books in selected private homes, and thus created libraries to which they gained access using copied keys. The engineering students themselves built wind tunnels. And the chemists took Bunsen burners and distillation columns to secret basements and procured chemicals, some on the black market. There are now 18 bachelor’s and 14 master’s degree programs, including computer science, music, engineering, neuroscience and international law. Instead of secret libraries there are e-book databases today. Usually laptops and living rooms are sufficient for the students. Every year thousands of young Baha’is apply; almost half pass the admission test. There are 10 to 20 students per year in each course. In total, there are approximately two thousand students and several thousand graduates. The university has stopped holding lists of names, so that no information can fall into the hands of the authorities. Even with the re-election of the ‘reformer’ Hassan Ruhani in May 2017, the everyday life of Baha’is has hardly changed. Baha’is are still not being admitted to universities. Baha’is belong to a young religion with a long history of persecution. Their prophet, named Baha’u’llah, was born in Tehran some 200 years ago. But before he became a prophet himself, he joined another one. At the age of 27 he became “Babi”, a disciple of a Shirazi businessman, whose title was “the Bab” (or “Gate”). He prophesied a new divine messenger. The Shah sensed political turmoil and had the Bab shot in public. Some of the Babis tried to murder the ruler out of revenge. But they failed. The Shah massacred another thousand Babis. Baha’u’llah was exiled to Iraq and preached that he himself was the prophesied divine messenger. According to his teachings, God reveals himself to people again and again – for example through Moses, Jesus, Buddha, Muhammad, and now through Baha’u’llah. He promoted the unity of all religions, the harmony between faith and science, and the equality between men and women. The Baha’i faith was born. The Islamic clergy were worried: Baha’u’llah denied Islam the rank of being the last divine revelation. He was banished to what is now Israel, then part of the Ottoman Empire. The fact that the Baha’i World Centre is there today makes them seem suspicious in the eyes of Iranian conservatives. There are over seven million Baha’is worldwide. Nobody knows exactly how many of them live in Iran, because they do not appear in any statistics. Usually they are excluded from universities in the way Soheil was: despite very good results in the national university entrance test, he was unable to enroll anywhere. “Every university I applied to said my application was incomplete.” For weeks he walked from office to office, asking what was missing. Finally a civil servant finally asked him about his religion. He told the truth. “That’s the problem,” the officer said. And that there was nothing he could do about it. “I could have lied,” says Soheil, “but telling the truth is one of the most important commandments for Baha’is.” Of course, he already knew that he could not go to a normal university. “But I wanted to show with my demands that we still exist.” A small victory. A dangerous victory. In the past, all applicants had to mark their religion on the application form. 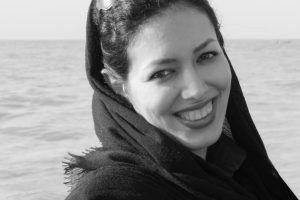 “Today they seem to know who is a Baha’i”, says Shirin. She has the same story to tell, only she gave up sooner. Anyone who attracts too much attention risks a prison sentence: In November 2017, three young Baha’is wrote protest letters to the ministries and the authorities, and a court sentenced them to five years in prison. Ingo Hofmann converted to the Baha’i religion at the age of 24. The retired professor of physics sits in a café in Berlin-Charlottenburg and talks about the difficulties faced by BIHE graduates in Germany. As honorary spokesman of the German Baha’i community, he is today helping BIHE graduates in Germany. “When they apply for a Master’s or a PhD somewhere, they are often rejected”, he says. “The degree credentials are usually accepted once someone from the Baha’i community explains to them why this university actually exists.” In some cases, however, universities still refuse, arguing that the institution is not recognised in Iran. In the United Kingdom, 22 universities already accept the degrees of the Baha’i University; in the US there are 29. In Germany, BIHE graduates are currently studying in Bonn, Kaiserslautern, Bayreuth, Passau, Heidelberg, Mannheim and at the Darmstadt University of Technology. The University of Bonn was the first German university to accept BIHE degrees – the Dean of the Faculty of Theology had already done research on this religious minority, and advocated their admission. At least at ZAB, the German Central Office for the Evaluation of Foreign Qualifications, one obstacle has already been overcome: Iranians no longer have to prove that they were admitted to the Iranian university entrance examination. In the living room classroom in Tehran, English teacher Ehsan tells his story. “BIHE was my salvation then,” he says, “but the first years were hard.” He talks about how BIHE has changed from a conspiratorial education network into an internationally recognised institution. In 1991, four years after its foundation, he started his Bachelor’s in English there. Everything was provisional. “We only saw our only professor once a semester. Everything else came in the mail.” At times they sent their own messengers on mopeds all over the city, because the secret service intercepted their letters. Ehsan recalls that the study guidelines were completely unspecific. “Once the homework assignment was: Read Shakespeare!” When he asked about the meaning of a passage the others would only reply, “I don’t know”. Sometimes, he says, laughing, they wept together out of desperation. Today, the timetables are no longer distributed by motorbike, but by e-mail, “at strange times, often at 3:00 AM,” says Shirin. It is estimated that nearly a thousand volunteers are involved in the administration. They design the curricula and monitor compliance with test standards. Most of them live abroad for security reasons: nobody knows who they are. If students are arrested, no one should be able to disclose personal details. Almost all teachers have normal jobs during the day, in the evening they teach at the BIHE. Voluntarily and without pay. English teacher Ehsan works as a tutor until the afternoon, then at BIHE after work. Other lecturers are Muslims or Christians, some of whom teach as professors at normal Iranian universities and see their secret part-time work as a good deed. Since 2005 there are also online courses with instructors from all over the world, who connect via Skype. There are no study fees; the Baha’i community only finances its university from donations by Baha’is. “We are even greedier to receive education because education is forbidden to us,” says a student. And what are the opportunities on the job market with a BIHE degree? “Fortunately, Iranian society is more open than the state,” says Soheil. Civil servant positions are not open to Baha’is. “But in private interviews, I always honestly explain why I received my bachelor’s degree from such a strange university.” So far, no one has had a problem with that. But when Soheil recently visited a former fellow student in Mannheim, who is now studying for his Master’s there, he sat down in the cafeteria one lunchtime and sat there for many hours, though he had eaten long before. He wanted to feel once in his lifetime like a normal student. One who does not have to hide. Posted in BIHE, Denial of Education, Education Is Not a Crime. 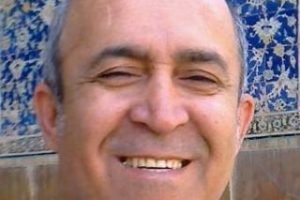 Discrimination Or A Subtle And Slow But Steady Persecution Of Baha’is In Iran?